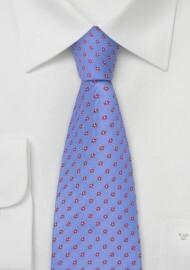 This indigo-blue silk tie has a pattern of tiny bright-red flowers woven throughout the fabric. The blue background color has a touch of purple in it - it is the perfect match for any gray colored suit and plain white dress shirt. This tie will add all the color you will need. This tie looks great in all four seasons of the year. 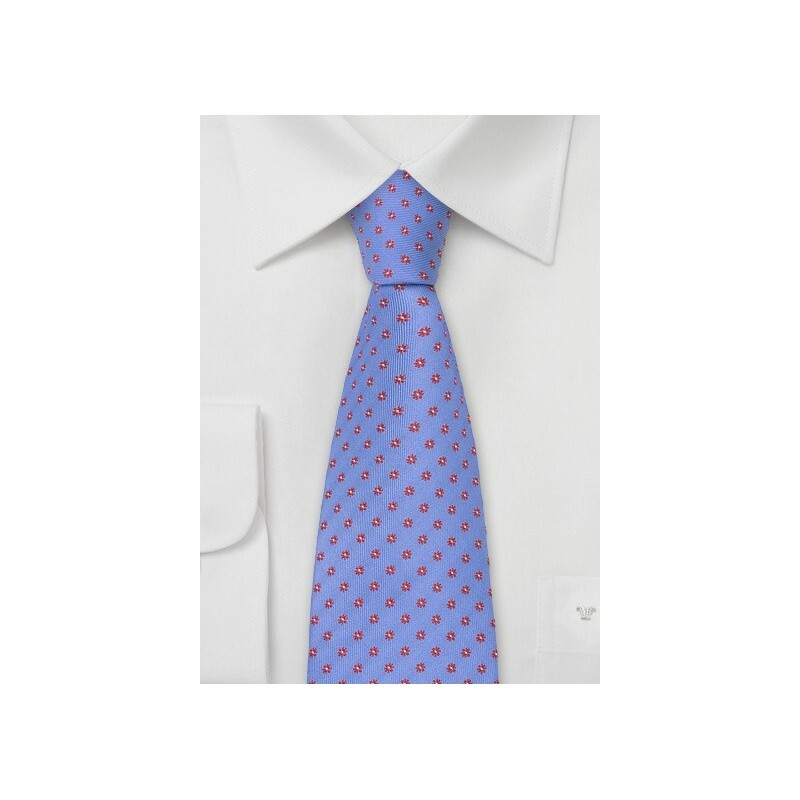 Although it is a design and color combination that will match with a wide range of shirts and suits, we suggest to pair this tie with a light to medium gray suit and plain white dress shirt. Handmade from pure silk.